Keeping your property neat and clean can be difficult, especially if you have kids at home and a hectic schedule. Trying to find enough time for the chores that have to be completed can sound impossible from time to time. To make your life simpler, it may be time to consider hiring Professional Cleaners Sutton. As soon as you have experienced the many benefits associated with booking cleaning services, you will ask yourself why it took you such a long time to do so in the first place. You will have more spare time on your hands and your house is going to look better than it has in a long time. 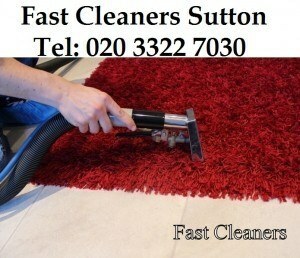 With the help of some excellent cleaners, you can rest and enjoy yourself again. You might not even know how neglected and messy your home is until you have seen the results of employing a cleaning company. When you have been living in a mess for quite a while, you start to not even notice it. Right after the cleaning team has completed their work, though, you will be impressed by the difference. Your home is going to be less cluttered, better lit, and just a far more pleasant place to spend hours in. No matter how big or small your home is, the right team can clean it thoroughly very quickly. You will be amazed at how efficient they can be at getting the work done. As soon as you start getting your property professionally cleaned regularly, you will never want to go back. You will get more time on your hands that you can use for other activities. As opposed to wasting time dusting, vacuuming, or doing laundry, you could start to pay attention to what you really enjoy. All of your family will like the results as well. Instead of spending time and energy cleaning their rooms or arguing with you about doing their jobs, your kids can have more time to focus on their school work along with other things. This makes for a happier, healthy family that actually enjoys the time it spends together. In addition, spending money on a cleaning service can in fact end up saving you money over time. This is because you will not be paying for expensive repairs or refurbishments. Using a cleaning business is like buying an insurance policy. You’ll be spending a little amount to prevent much bigger charges later on. Once you find out how useful these cleaning companies could be, you’ll see why more and more people book specialist cleaners. You should be able to unwind and appreciate life considerably more with their help. Should you need help finding a reliable cleaning business in your area, just ask around. Ask your family or friends and find out if are able to recommend a fantastic agency. This way, you could enjoy the benefits as quickly as possible.